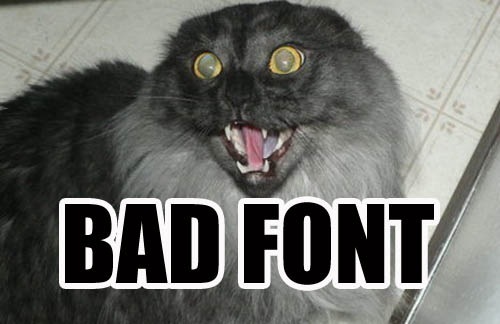 I think maybe you should have reconsidered posting that. 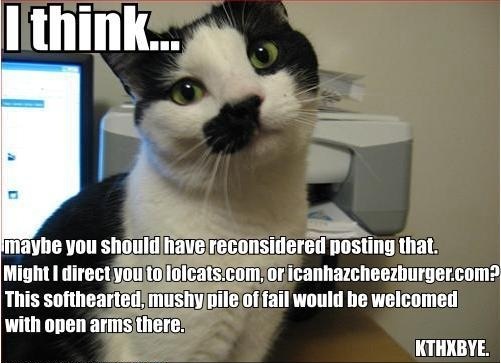 Might I direct you to lolcats.com, or icanhazcheezburger.com? 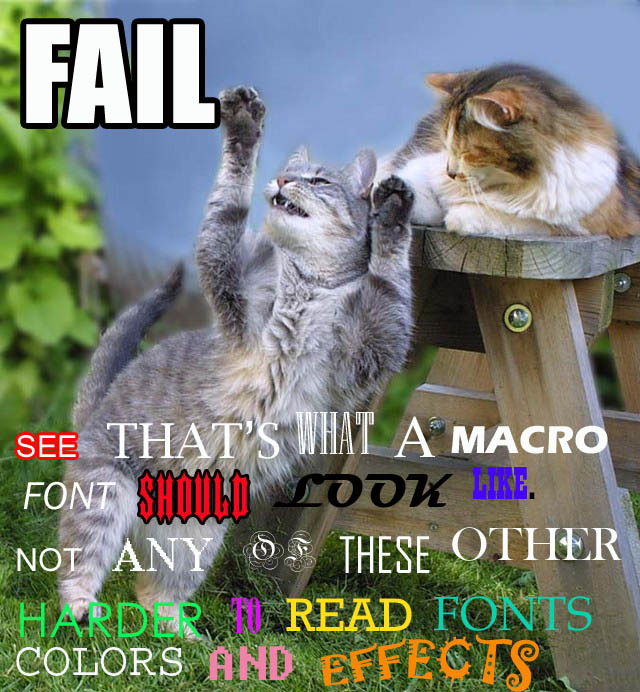 This softhearted, mushy pile of fail would be welcomed with open arms there. 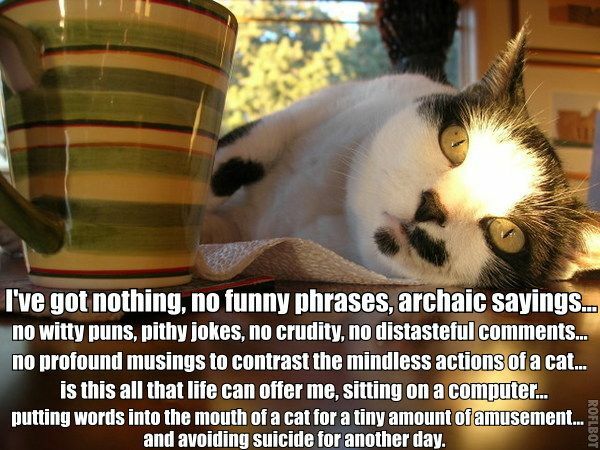 KTHXBYE. 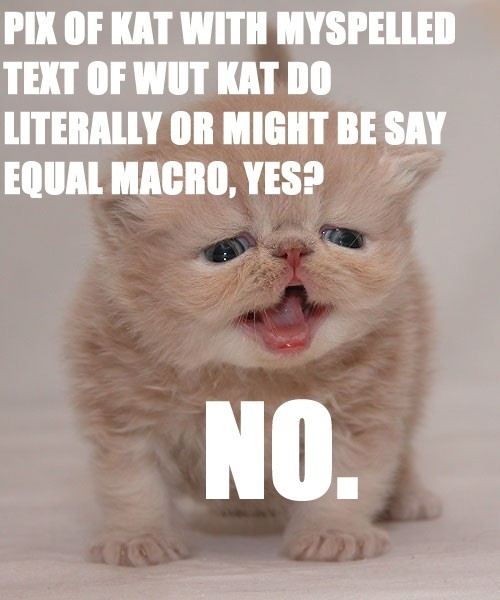 Pix of kat with myspelled text of wut kat do literally or might be say equal macro, yes? 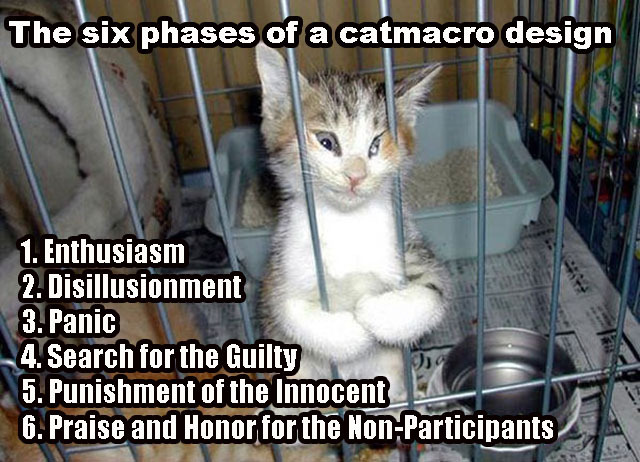 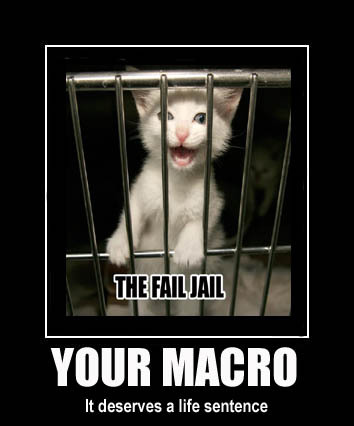 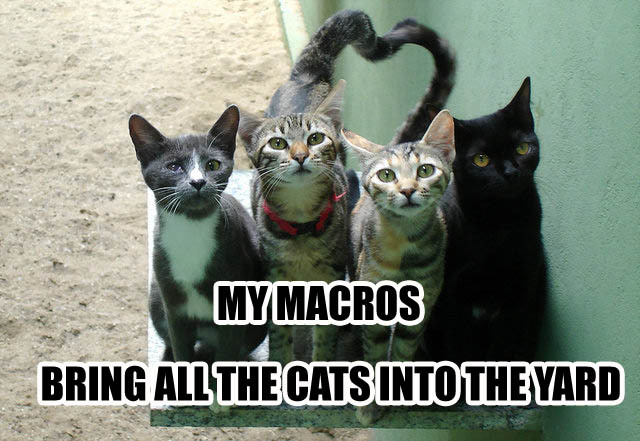 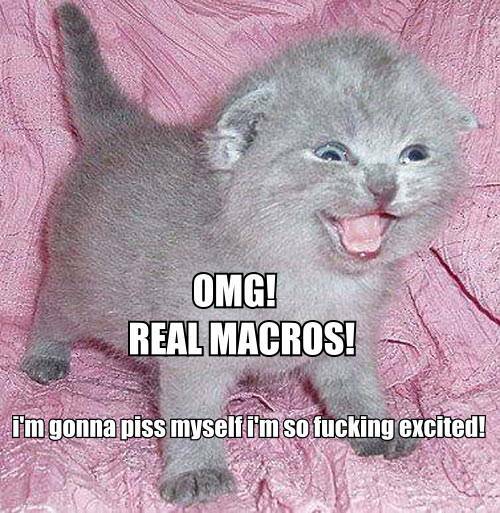 How Cat Macros Are Made!